The Level 2 Emergency First Aid At Work course is designed to ensure that on completion of the course delegates are aware of how to handle first aid related emergencies in the workplace.If an employer has identified that first-aiders are needed in their workplace, they must ensure that those identified to be first aiders undertake training appropriate to the need. The course is assessed by (1)written exam, and continuous observation. Result are available within 7working days of the exams and assessment. 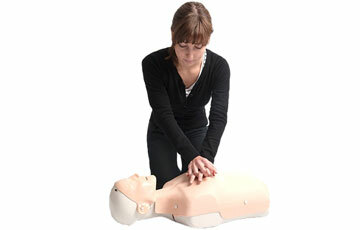 Successful candidates will receive a Level 2 Award in Emergency First Aid at Work (QCF) certificate.